In 2004 three kids with more passion than cash created Movement Mag. Fed up with what was on offer and wanting to entertain and represent – in the way they felt was right - they threw their skills and money into some neatly bound pages. Those faces have changed and the numbers have swelled but the general philosophy is still the same, bodyboarders publishing bodyboarding. As Movement has grown and established itself within the market, the faces behind those pages have moved from the scruffy kids to industry pros, still young and passionate but with the experience and skills to take Movement into its next phase of life, as the premier brand in bodyboard media. 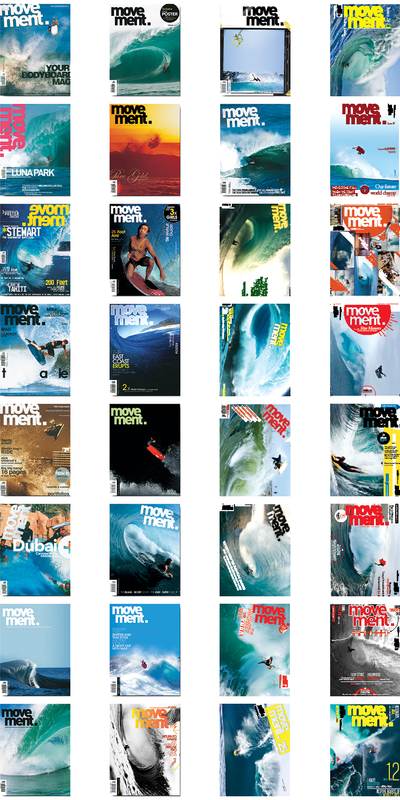 We're still publishing a 200+ page magazine, but these days our focus isn't just on the glossy pages in our magazine, we're also running Movementmag.com, and our Pay-Per-View movie platform, which we aim to create a unique and exciting new direction in Bodyboarding media. The views expressed in Movement Magazine are those of the respective contributors and are not necessarily those of the publisher or staff. Movement Magazine is published by Movement Media Pty Ltd. All contents are copyrighted and property of Movement Media Pty Ltd.
Special thanks to all of our contributors, advertisers and customers.